Summer is a time when we create some of our most lasting memories. From catching fireflies in jars to cool glasses of lemonade enjoyed on the patio, there’s just something about the warmer weather that makes us nostalgic for times spent outdoors with friends and family. Your brand can take advantage of this phenomenon by getting involved in one of the plethora of events and activities happening in your local community this summer. 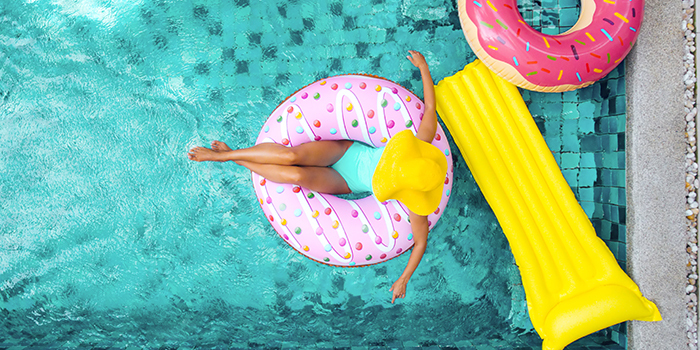 Whether you’re participating or hosting them yourself, being active in your community creates opportunities to build lasting relationships and increase visibility for your brand through the shared experience of summer fun. Here’s a few examples of how. Whether hosting or attending, there’s something that just screams “summer” about a good old-fashioned barbecue. Even without the grill, just sharing a meal and spending time outdoors with family and friends picnic-style rings home for true summer nostalgia. Capitalize on this by having a strong brand presence at outdoor eating events. Bring along branded coolers, koozies or drinkware so attendees can take your message home with them. This also falls in line with what we’ve predicted to be one of the strongest trends of the season, the Great Summer Cookout. It’s festival season! Festivals provide another seasonal opportunity to generate positive experiences between your community, the youths in particular, and your brand. Odds are there’s some sort of local festival happening in your area this summer, likely several in a myriad of themes, like food and drink, art or your traditional music. Choose one or two that align with your brand message and set up a booth to start engaging with your audience directly. Draw in the crowds by giving out free merch prominently featuring your branding. Apparel or food and drink products are always hits at festivals. What’s summer without attending a few sporting events? Baseball, soccer, golf, even football later in the season. The opportunities are endless when it comes to showing off your brand spirit in the summer. You could even go further and host out-of-the-box sporting competitions, like ultimate frisbee or bocce ball. Events like these are ideal for giving out branded apparel, such as hats, t-shirts, sunglasses and more. Co-branding with the teams or players adds extra memorability. And that’s only the beginning. Whether you choose to participate in these summer events or any of the countless others, like 5K fun runs, walks or other outdoor affairs, you can shine some (sun)light on your brand this season. Creating experiences that exemplify fun and excitement can help build brand awareness and loyalty. In the end, making memories and connecting with the people in your community benefits everyone involved. Let’s have some fun this summer! Contact your Staples Representative to get started.